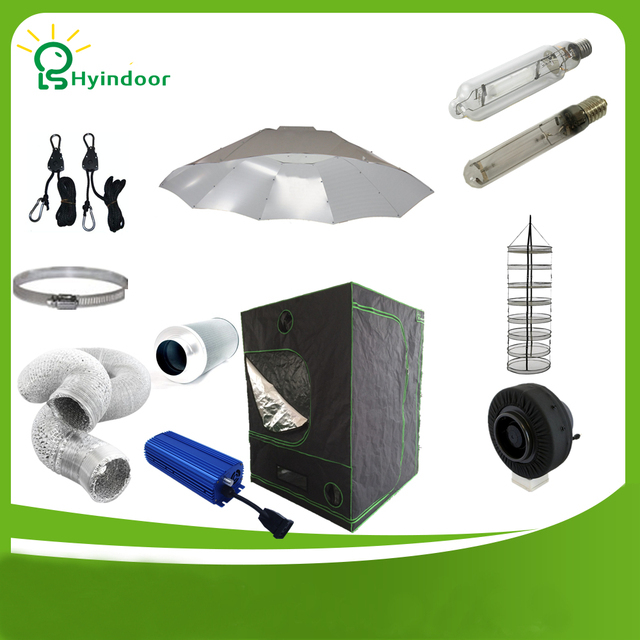 This 1000W HPS/MH grow tent kit comes with everything you need to start your indoor garden. Powerful enough for even the most light hungry plants. Insulated, protected, reflective mylar keeps any light from escaping and provides an odorless solution. Great for first time growers or experienced vets. Easy to set up, 100% safe to use and 30 day money back guarantee. Grow tent – 3ft x 3ft. Non toxic mylar. Heavy duty grow light hanger – carry up to 150 pounds. 6 inch duct fan X1. 6 inch carbon filter X1. 6 inch Duct Clip X2. Drying racks, 8 levels easily installed into the tent. Free shipping worldwide. All products come with a minumum 2 year warranty. Complete 2.5×2.5 grow tent with 360W apollo light.